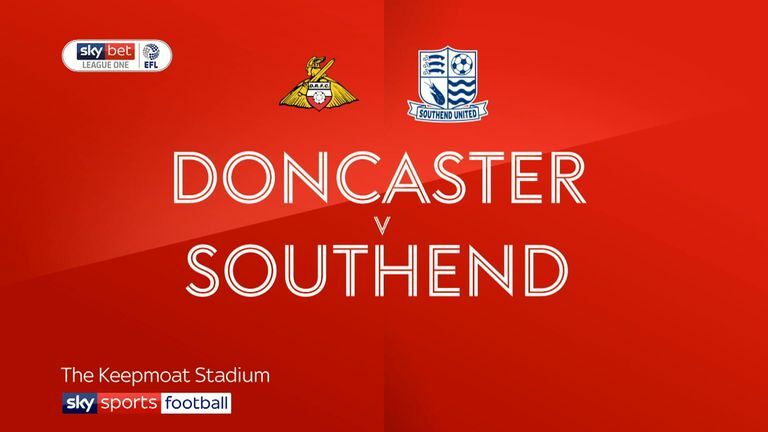 Highlights of the Sky Bet League One match between Doncaster and Southend. 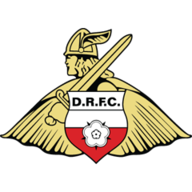 Doncaster cemented their place in the Sky Bet League One top six thanks to a goal apiece from John Marquis, Mallik Wilks and Herbie Kane as they crushed Southend 3-0 at the Keepmoat. Apart from the opening 10-minute spell, Rovers were totally dominant and went in front when Marquis headed home his 22nd goal of the season from James Coppinger's pinpoint cross after 13 minutes. Good work from Wilks then set up Ali Crawford, whose effort was saved low to his left by Nathan Bishop. 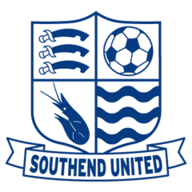 The Shrimpers responded with Timothee Dieng nodding Sam Mantom's free-kick into the hands of Rovers goalkeeper Marko Marosi, who barely saw the ball again after that. Bishop brilliantly saved a Crawford free-kick, flinging himself high to his right to palm the ball out, before defender John Welsh kneed the ball against his own crossbar as Crawford's corner caused panic in the Southend box. The second half was less than a minute old when Marquis brought out another save from Bishop, but then the teenage stopper undid all his hard work 10 minutes later when he let a Wilks effort squirm past him and into the net. Marquis nearly had a second but his header from Danny Andrew's free-kick bounced up onto the crossbar, before Elvis Bwomono blocked his effort on the line after Bishop had saved again from Wilks. Marquis then turned supplier, breaking onto Crawford's terrific through ball and squaring for Kane to bundle home after 73 minutes and wrap up the three points.